"It has been a long day, Happy went to be with Jesus at around 4 this morning. I am devestated but rejoice in knowing that she is whole. Thank you to everyone for your prayers and support. I will update tomorrow ... Love Katie "
I am sad for Happy's family to have had to watch her suffer, but thrilled that she is in the arms of her Father! Oh praying for all there and for Happy's parents. Oh how my heart breaks, yet may God use this to stir our hearts to act and help now before another Happy passes away. 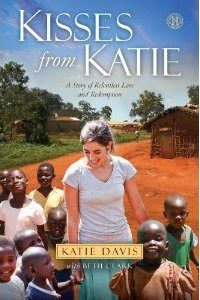 Katie thank you again for giving your all for the least of these! Love you Katie! Praying for you. There are no words....Blessed be the Name of the Lord! We are weeping for this precious baby girl that made us so HAPPY to pray for. His plans are perfect, but we are grieving for a mommy who has to say goodbye to a part of her soul and heart. I have held a tiny boy in my arms and grieved terrible loss, but today Happy & my baby boy are playing with Jesus. Thank you Gwen for your loving words. katie--she was blessed to have you as her advocate, and i know that you will share the tremendous comfort with her mama that she is in Heaven and that you and she will see her again. still, i know this must be hard. i love that you cared with abandon. God had such a sweeter plan in mind for Happy! She is Home and snuggling with Him. If I could, Katie, and Gwen, I'd give you both a big old squeeze hug, but, as I sit this side of the screen gonna cover you and your ministry in prayer and thankfulness to God for Happy and those who love her!!! I am so sorry. She was such a beautiful baby. So hard when you know things could have been different. We are praying for you and her family in your grief. Your work is amazing! Man, I am so sorry. Lots of emotions right now - sorry that we couldn't help in time; thankful that Happy is healthy and with Jesus. Love to you both. Will pray for Happy's mom and wait for God to send the next precious baby for us to help. I am so sorry to hear this. Prayers for all who loved her. Jesus holds her now and she is healed, such a comfort to know that she is with Him and no longer suffering. I'm sorry Katie. I can totally identify with your frustrations. Bless you for fighting the fight for her. I am so deeply sorry...our condolences to everyone. You are all in our prayers. Oh I am so sad, that sweet little girl with the beautiful face. I will keep her mother in my prayers today, Lord please hold Happy's mama in your arms! I have so much to say, but can't find the words. I am praying for Happy's family and friends who are mourning the loss of that precious little baby. I just want to cry, but remind myself that God is so good, and Happy is out of pain and at peace now with our Loving Heavenly Father. I am so sorry about Happy. My thoughts and prayers are with you all. Prayers for those of her family left behind and for all of you! She is dancing in heaven right now praising our Lord and with our Hannah Grace....around the same age too. They both had ailments that if born in this privileged country would have been treated....but God took them to be His special angels. So hard to accept sometimes. Little Happy most have done her work her. She must have touch the lives of many. Or God could not wait to me that little sweet girl. My prayers are with you and Happy's family. thank you sweet katie for giving us all the opportunity to know and pray for this precious little lamb of His! praying for you ---and her mom----and rejoicing over happy's short life that was lived to glorify our Lord! I rejoice that she is whole with Jesus. We will be praying for her parents. May the peace of God that surpasses all understanding be with her family.... may they feel the comfort and healing that only Jesus can bring. Thank you Katie for being there to help precious Happy and her family. Oh, how my heart aches. We had special prayer tonight at VBS! As another has written, may God us this to stir our hearts before another Happy passes away. You will be in my prayers, dear, sweet, faithful Kati; you who have inspired others to great things, you who know no one is too small to do BIG things for Jesus. I'm so sorry to hear about Happy. She has been in my prayers and on my mind since you shared her story. I will continue to lift her family up. I am so sorry to hear that Happy passed away. My heart just breaks for you and her family. I just started reading your blog a couple of weeks ago and am so amazed at your strength. God has given a tremendous gift to bless so many around you. Please give all of your girls a big hug from Texas and please let Happy's family know that we will continue to pray for them. That's so bittersweet. I don't even know what to say. Had been thinking alot about little Happy. Praying for those who loved her to have peace now. Precious, precious Happy. I have nothing profound to say, but am deeply moved for this little girl and her family. Thank you, dear Jesus, for loving your beautiful Happy. Even though Happy got the better part of the deal, I am saddened by this news. Happy is definitely one of your five. Did you ever read "The Five People You Meet in Heaven"? It always comforts me to know that when I enter heaven there will be five people that touched me deeply that will be there to lead me in. You had a profound effect on Happy's life. She'll be there, waiting to greet you, to let you know that she is now truly happy, and whole, in God's kingdom. You are an inspiration to the world! Every life you touch, and "holy cow" do you touch a lot of them, is changed forever. I could never imagine someone having so much LOVE to give. You give it all kiddo, and we'll fill you back up when you arrive in the states (I can't say home anymore as I now where your home really is). My heart is overflowing with LOVE for you. I know that Happy's experience was for you as much as you were there for her. God receives us when our days are done like you said. He will never leave us nor forsake us says Hebrews. Yet the changes in your heart and to a number of us getting to experience this somewhat through your posts help us to realize what REALLY is important. Thank you for being a bright shining light for our Savior. Thank you so much for opening up your life for all to read. You are an amazing servant. When I read your blog I am always challenged in my walk with Jesus. My prayers are for you, your family, and Happy's family during this difficult time. God Bless You! Hey so i hope to work in africa one day and you are now one of my hero's i'll be praying for you.